There are many things to do in Pattaya besides going to a bar and drinking beer. Some attractions are free and well worth the effort to go and see. This is found at the top of Pratumnak Hill. On one side of the road there is a lookout, a statue of the first Thai navy admiral and Wat Phra Yai. Across the road on top of the hill is Big Buddha, Chinese gardens and a park. You can hire a baht bus or motorbike taxi for 100 baht to take you there. Make sure you see both sides. This is on South Pattaya Road near Second Road. Please take your shoes off before going in and do not sit with your feet pointing towards the Buddha. There is a fresh food market across the road . Go inside to the indoor market. Tuk Com is nearby for all IT products- mobile phones, ipads, laptop. Tuk Com is well known for copies. Very popular beach with restaurants, bars and sunloungers near Royal Cliff Hotel on the Jomtien side of Pratnumak Hill. You can get on a baht bus at the intersection of Second Road and South Pattaya Road. Baht buses going to Jomtien line up along Second Road outside the school waiting for customers. Costs 10 baht. Get off at the top of the hill outside Sugar Shack. Cross the road and hire a motorbike taxi to Cosy Beach, costs 40 baht. Steep steps take you down to the beach. More upmarket than Pattaya Bay, these Pattaya beaches have whiter sand and there are umbrellas and deckchairs, restaurants and bars, massage areas and market stalls right on the beach. Naklua beach starts at the Dusit Thani Hotel at the north end of Pattaya beach while Wongamat beach stretches down to the Sanctuary of Truth. Swim, sunbathe and dine right on the beach. Jetskis and banana boats are available. Baht buses drive down Second Road and either turn left at Dolphin roundabout to go down Beach Road or go straight ahead to Naklua. Charge is 10 baht. Check if the driver is going to Naklua and get off at Soi 18 and walk 500m to the beach. Wongamat Beach is in front of the Centara Grand Mirage Hotel. This beach front hotel on Wongamat Beach is based on the “Lost World” theme with a huge waterpark with a river and waterfalls, caves and canyons. Watch the sunset over the sea during cocktail hour from the balcony followed by a meal at one of the many restaurants. Catch a baht bus going to Naklua and get off at Soi 18. 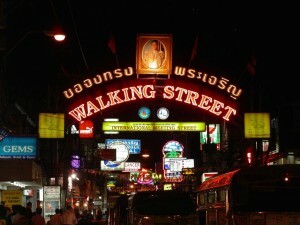 The main entrance is from Soi 18. 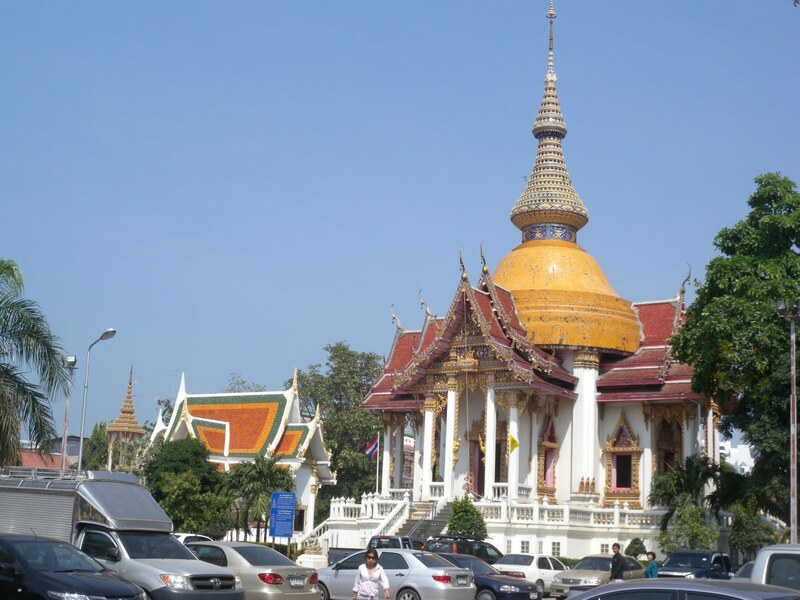 There are many tour shops in Pattaya that are honest and reliable. The staff speak English and you can look at the brochures to choose where you want to go. The tour stands on the streets act as agents for tour shops and can take your booking. You need to have a phone number they can contact you on and the address of where you are staying. Go into 2 or 3 tour shops and get prices or use the internet to find out entry fees and the price of tours which include transport and hotel pick-up. Pattaya’s most popular attraction with amazing gardens, Thai cultural show and elephant show . Book a half day or a full day. Full day Tickets at the gate cost 800 baht including all shows. You can buy full day including lunch and transport by minivan for 1200 baht per person with pick up from your hotel. Or you can hire a taxi for the full day for 1,200 baht return. An amazing teak temple on Wongamat Beach. There is also a dolphin show. Costs 700 baht including transport to and from your hotel. ( Entry fee of 500 baht included) Or jump on a baht bus to Naklua which is about a 10 minute drive for 10 baht. Look for the Sanctuary of Truth sign on the left side of the road. Get off and walk 10 minutes. Ferries leave for Koh Larn from Bali Hai Pier which is at the far end of Walking Street.The charge is 30 baht one way.There are 2 destinations at Koh Larn: Naban and TaWaen. Naban is on the Pattaya side and you will need to get transport to get to the beach. Monkey Beach is the closest. TaWaen is the main port with a huge jetty, big sandy beach, watersports and restaurants. There are shops and bars right on the beach. If it is windy you can get a baht bus to Samae beach which has white sand, restaurants, bars and shops right on the beach for 40 baht. A sunlounger with table and umbrella will cost 50 Baht. There are baht buses that leave to take you back to the ferry for 40 baht. When you arrive back at Bali Hai Peir there are baht buses that will take you down Second Road to Beach Road for 20 baht. Parasailing, fishing, snorkelling and banana boating at 3 islands- Koh Kok, Koh Sak and Koh Larn. Full day trip including pick-up, breakfast and seafood lunch. 1,590 baht. Book at any travel shop. 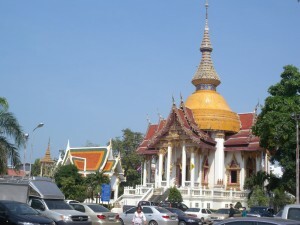 This is a very popular trip that leaves from Pattaya Bay. After visiting the temples you can go to the seaside fishing village of Bang Saray for a seafood meal at an overwater restaurant next to the fishing boats at the jetty.